ACM Digital Library content from conferences sponsored or co-sponsored by ACM SIGGRAPH is available for free in the ACM Digital Library for a one-month period that begins two weeks before each conference, and ends a week after it concludes. Following this one-month “free access” window, the content is available at no cost in perpetuity, exclusively through the open access links on the page below. 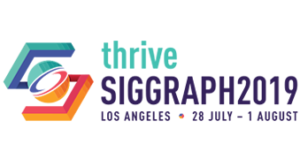 ACM SIGGRAPH members always have free access to SIGGRAPH-sponsored materials in the ACM Digital Library.